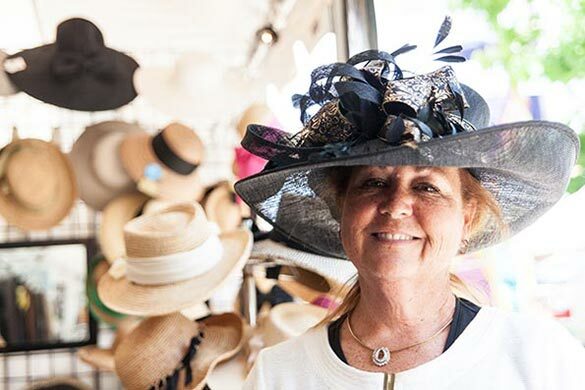 It’s been four years since we sat down with Katie Whaley, owner of Hats by Katie, and The Devon Horse Show and Country Fair’s official milliner. 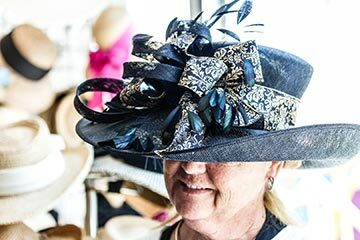 With the biggest Ladies Day in Devon history on the horizon this Wednesday, emceed by celebrity Carson Kressley, we thought it was due time to catch up on all that is fab, fashionable and ‘fascinating’ in the hat world with Ms. Whaley. 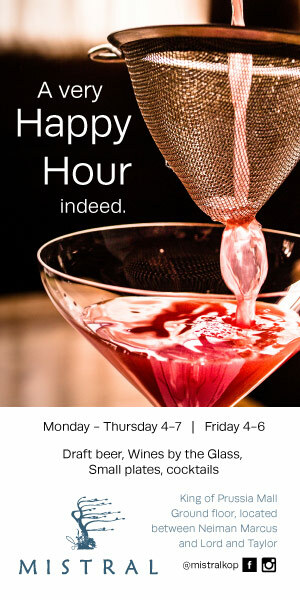 AroundMainLine.com: How many years have you been exhibiting at Devon? Hats by Katie: This is my 18th year! AML: Since we last chatted ‘hats’ for AML in 2010, we’ve had a royal wedding and hats seem to have become more mainstream in America. What’s changed from your point of view? HBK: The fascinator has really taken over in the US. Americans have become more bold with their hat choices instead of being ‘matchy, matchy’ they are complimenting their outfits with their hat color choices. I’m thrilled to be able to encourage my customers to think outside of the box in their hat selections. “Americans have become more bold with their hat choices instead of being ‘matchy, matchy’ they are complimenting their outfits with their hat color choices. 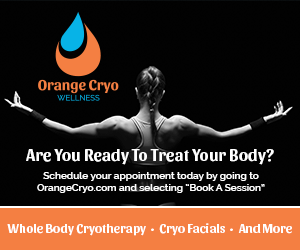 I’m thrilled to be able to encourage my customers to think outside of the box in their hat selections,” explained Whaley. AML: What seems to be popular this year at Devon? HBK: Fascinators are very popular, but the large brim sinimay’s are selling very well. And, as always, the beach hats are selling really well. AML: Are there any special materials you have been experimenting with in your Hats by Katie designs? HBK: Sinimay and silk, with lots of feathers are my latest craze. AML: Ladies Hat Day is Wednesday and seems to be getting bigger every year. Any inside scoop on some of the fabulous Hats by Katie creations we will see at the contest? HBK: Pink is the color of the season—so look for lots of that hue on the ladies. And you will definitely see some bold colors from Hats by Katie this year. 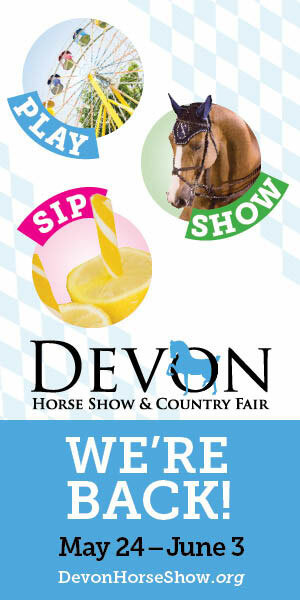 The Devon Horse Show and Country Fair’s highly anticipated Ladies Day will take place this year on Wednesday, May 28th, 2014. The theme this year is ‘Ribbons and Pearls’ and will be an elegant interpretation on tailgating. 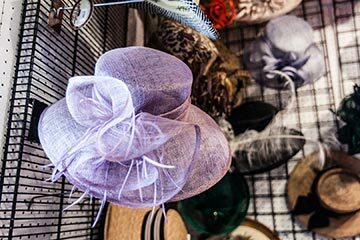 As always, the event will include the beloved ‘Hat Contest’ featuring all manner of millinery confection, from couture to creative. All Hat Contest participants will be welcomed at a posh champagne reception following the contest. 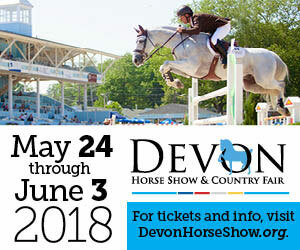 The Devon Horse Show and Country Fair, which began in 1896 as a one day horse show, has grown into the largest and oldest multi-discipline outdoor horse show in the country. Since 1919, proceeds of the Devon Country Fair have benefited Bryn Mawr Hospital. To date, nearly $15 million dollars has been donated to the hospital. When adjusted for inflation, that is over $50 million dollars. The Devon Country Fair is run entirely by volunteers. Hats by Katie is located at 2027 Clintonville Road in Paris, Kentucky.